Ships tomorrow if you order in the next 23 hours 44 minutes. Aging is a natural part of life, but it can come with some unwelcome changes that may be the result of AGEs. Advanced glycation end-products (AGEs) are formed in the body during glycation, when glucose binds to protein and provides energy for the body. They can impair healthy tissue function when they accumulate, resulting in a variety of aging-related conditions like deterioration of vision, memory problems, stiff joints, lessened skin elasticity and more. 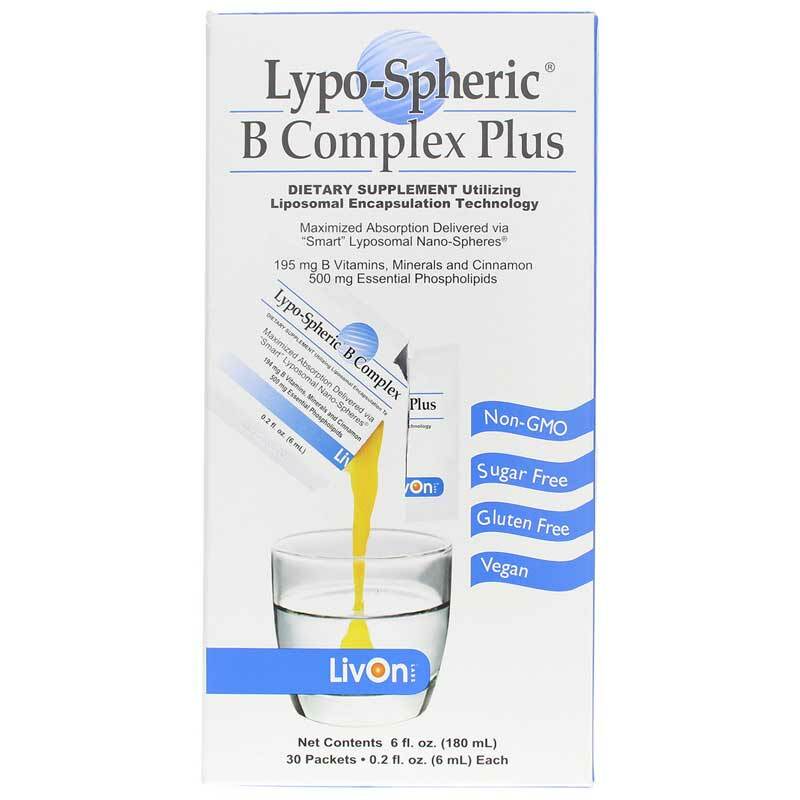 LivOn Laboratories offers a natural supplement called Lypo-Spheric B Complex Plus that controls the formation of advanced glycation end-products. This formula contains no GMOs, sugar, starch, meat, dairy, wheat, gluten, yeast, artificial flavors or artificial colors. 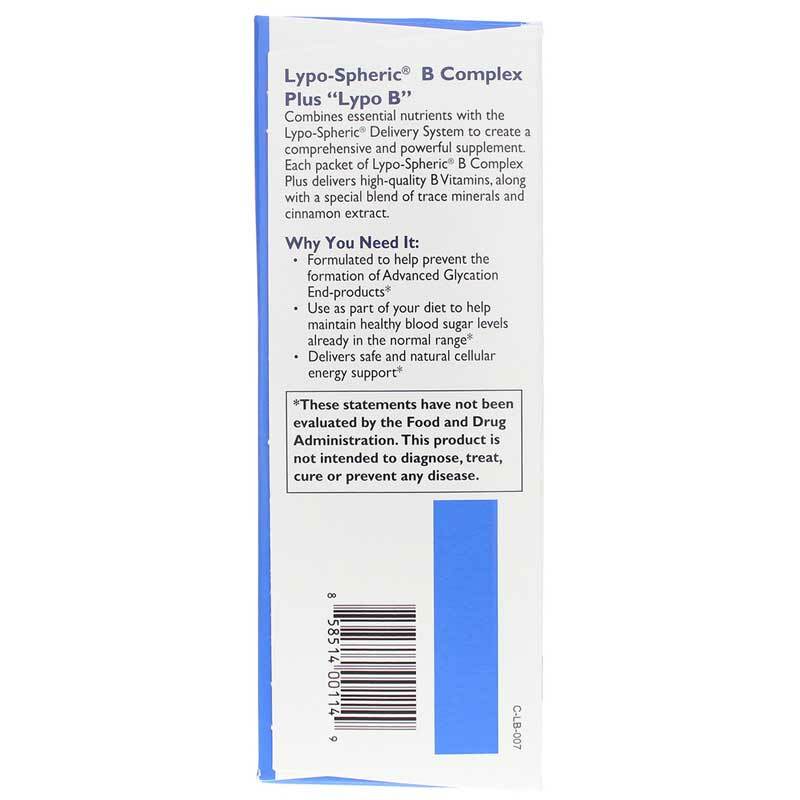 If you're looking for a natural supplement that supports healthy aging and healthy energy levels, check into LivOn Laboratories' Lypo-Spheric B Complex Plus. Order online today! 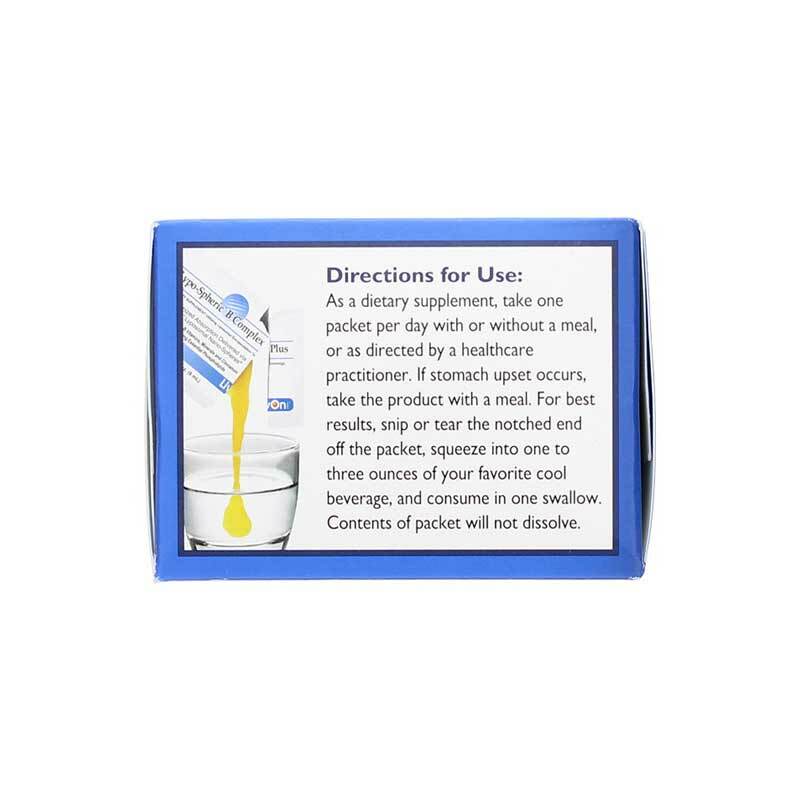 Contains NO: GMOs, gluten, sugar, yeast, hexane, artificial colors or flavors. Vegan. 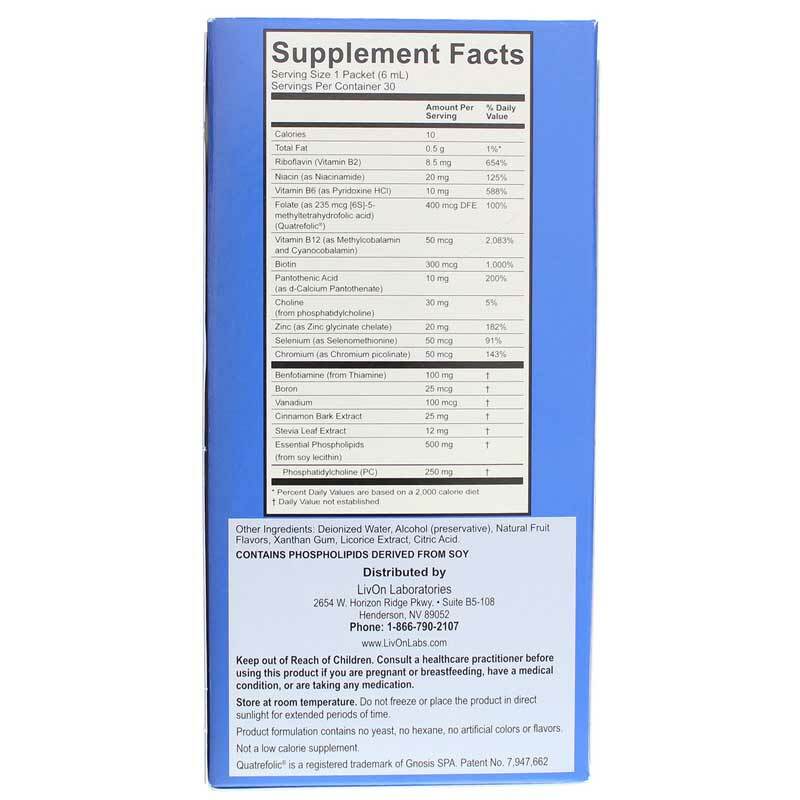 Adults: As a dietary supplement, take one packet 1 to 2 times per day or as recommended by a healthcare professional. For best results, snip or tear the notched end off the packet, squeeze into one to three ounces of your favorite cool beverage and consume in one swallow on an empty stomach. Wait at least 15 minutes before eating. Contents of packet will not dissolve. Love this Lypospheric B Complex. its one of the best !! Thanks yo Natural Healthy Concepts for your great selection of products and your customer service. Lypo-Spheric B-Complex Plus has helped. I have recommended this product to several people and I know of two who are trying it out. I trust they will also find Lypo Spheric B-Complex Plus a worthwhile addition to their approach toward good health. The taste is terrible admittedly; but I take it quickly followed by water, juice, etc. and it all goes down fine.